How to Find an Affiliate Program – Bonus Included! I would first like to congratulate you on finding one of the best ways to online success, which is affiliate marketing. We’re all looking to either make some extra income or to replace our full-time income. There are many ways to go about doing that online but one of them, is to promote affiliate programs and benefit from their sales. If you are unsure of how to find an affiliate program, this is the article for you. Before I start, it is vital that you have your topic / niche / interest for your website, already picked out. In order to move forward in finding affiliate programs, which can get VERY specific, you have to know WHAT it is that you want to make money from. I could also go a step further and think about what would make me passive income. In that case, two of the above options would make me passive income; for pet insurance, mostly people like to pay on a monthly basis. Some insurance companies like to give commissions monthly or even yearly as a lump sum. For subscription boxes, if the customer is set up to a monthly subscription, that’s the frequency you would get paid too. Same goes for if they choose annually. 1) Reputation – look up reviews on the company and their products. Look at what people are saying about them before you recommend them. 2) Commission percentage – I would also suggest that you look into the percentage you get per sale. Affiliate programs pay between 4% and 75%, from what I have seen. I have given an example below, within strategy number 3. 3) Cookies – This is the timeframe within which your visitor needs to make the purchase in order for you to get the commission. The longer the timeframe, the better. Now that you have a basic idea of how you can break things down, let’s get to the strategies you can use to find affiliate programs. This may seem like the obvious thing, but not to everybody, as many online stores may not advertise their affiliate program. But it’s still good to look into them. Let me explain why. The way you might know a few affiliate programs, is through your interest. If you have an interest in a topic / niche / product, then chances are, you have used it. If you have used it, chances are, you have bought it from somewhere. If you really liked the product from where you purchased it, then chances are that your readers / visitors will like it too. Why not refer them to where YOU bought it and make some money while doing it? For example, let’s say I bought arthritis medication for my elderly dog online from Pet Care RX and I have seen that it has really helped him manage / cope with the pain. I want to help other pet parents help their dogs, cope with their arthirits condition. What I would do, is Google “Pet Care RX affiliate program” and it should come up as the picture below. Simple! Now, you can Google a company and add “affiliate program” to it, and you’re well on your way to finding a lot of already reputable online stores that will pay you to promote their products on your website. An alternate way to do this, is to go onto their main website and scroll all the way down to the footer links. There, you will almost always find one for affiliates. Strategy Number 2 – Ran out of ideas? Don’t worry! It happens to everybody. Although you may know, or may not remember anymore company names whose programs you can use, you can always Google them by category. Still taking the example of pet medication, I can search “pet medication + affiliate program” on Google, and TA-DA! It gives me over 2 million results! Let’s try another one; pet insurance + affiliate program. Plugging in it, this is what I find. However, skipping the adds to the actual results, I am blown away by the number of affiliate programs available for pet insurance. As you can see, this one has about 1.5 million results. I can hear your questions; why didn’t I give Amazon as the number 1 strategy? Isn’t it the best platform on which affiliate sales can be made? Let me answer your questions. The reason why I waited until now to tell you about the Amazon Associates program, is because if you reside in certain states (and certain countries), you might not be able to become an affiliate due to the state/country laws and restrictions. The answer as to whether Amazon is the best platform to make affiliate sales, is that it depends. It may be so and it may not. The reason why people are more prone to trust you and buy through your affiliate link if they see it’s an Amazon product, is because of its reputation. It is one that most people trust. However, from an affiliate point of view, I want to show you that there are a lot more other affiliate programs than just Amazon. Compared to other affiliate programs, Amazon is actually on the lower-paying end, not to mention that their cookies last only 24 hours. Their commissions are usually between 4 – 10%, depending on the product. Meaning that if somebody bought $40 worth of stuff from Amazon through your link, you’re only getting paid between $1.60 – $4. Other affiliate programs I have seen, give you upto 75% commissions, which in this case, would make you $30 for the same $40-sale. Looking on the brighter side of Amazon, it’s a company that you can find A TON of items to promote through your website. It’s not somewhere you would go for pet insurance, but upon looking for pet medications, a good list came up. Looking around on the internet, you will find that there are a lot of affiliate networks within which you could also find companies offering affiliate programs. Some examples are CJ (Commission Junction) and CB (ClickBank). Now, these two networks sell digital products, like eBooks and software. Looking lightly at my niche / interest, I may think that these will be irrelevent. But really looking in-depth. I can find a co-relation. Taking an example, there are sellers on these networks, that sell eBooks related to teaching your dog tricks, potty training your dog, dog nutrition and much more! So it has much to do with my niche. What I want to say is that, though we may initially think that it has nothing to do with our interest, it never hurts to look deeper, and still perform a search, because you never know what you could find. A word of caution when using these two affiliate networks; There are a lot of reviews about them saying that they sell a lot of garbage, but keep in mind that these are marketplaces, just like Amazon and eBay. There are sellers that post items for sale there. It is best to look at their individual reviews as well as the reviews of the product themselves, to determine whether those products will be worth your effort of promotion. What? These 4 strategies weren’t enough? Okay, okay… Here it is. Let me reveal the #1 Tool that I use whenever I want to see if there is anything relevant to my niche / interest, especially within CJ and CB. Yup, that’s Jaaxy! Not only does it help you look for relevant affiliate programs, but it also helps you with choosing a new niche, keyword research (which is important for SEO and rankings) and it also shows you where you are at in the search engines including Google, Yahoo and Bing. Not only is the trial free, but you get to keep your free account forever AND make money if you want to promote it. That’s another affiliate program for you, without spending a dime. And signing up is easy! You only need an email account, enter your name and a password. And you’re good to roll! Not ready to sign up yet? Then CLICK HERE to know more about Jaaxy. I hope this article was helpful. If it was (or wasn’t) please leave me a comment as to how I can improve and what I can include (or exclude) in order to help you out more. Do you have any questions about affiliate programs and how they work? Do you have any questions about Jaaxy? Feel free to leave them below and I will get back to you ASAP. In the meantime, cheers to your success! Thanks for sharing such detailed explanation on affiliate marketing! I can definitely vouch for everything you said on this article because it’s one of the few business models that I use to make money online. I would also like to add, email marketing. The money is in the list and a business requires repeat customers. It’s a very useful tool to recommend affiliate product(s) to help your readers. 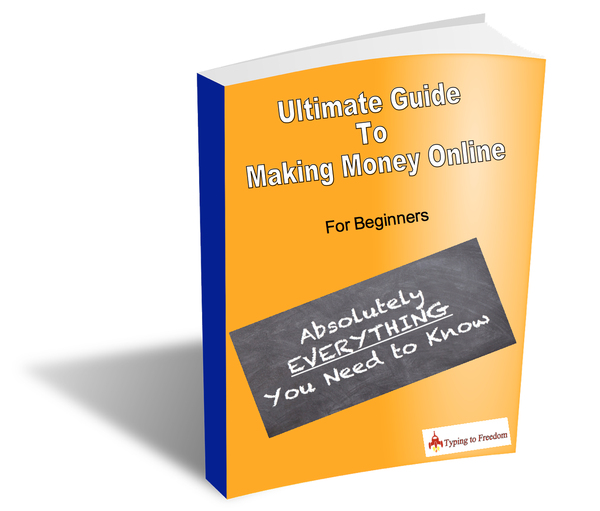 Your readers will greatly benefit from your expertise in making money online. I really appreciate you dropping by and leaving a comment. It feels good to know that people find value in what I have to write. I totally agree with you! Email marketing is the best way to get repeat customers. A lot of people focus 100 percent on getting NEW customers when in reality, they should also spend a portion of their time on marketing to the existing ones because those are the people who have already expressed interest and are easier to sell to. I will certainly be writing a post including everything to know about email marketing very soon! You post was very helpful in understanding the ins and outs of affiliate marketing. I especially like how you use pets as an example (very relatable). When you create your niche website, do you only partner with one affiliate? Or do most websites have multiple affiliate programs they work with? I would assume that it is the latter, since a single affiliate (unless it was Amazon) probably couldn’t fill every part of your niche. And it doesn’t seem like there are benefits to using a single affiliate (I don’t see any loyalty programs). Hi, thanks for dropping by! I’m glad you liked my post. That’s a very good question. When you build your niche website, it is actually recommended to apply and promote multiple programs because you should not put all your eggs in one basket. If the basket falls, chances are, all your eggs are gonna break. Same with affiliate marketing; if you only sign up with one affiliate program and only promote products from that one program, you grow your income with it, then down the road, if the affiliate program is no longer offered, the company closes down or files for bankruptcy and can’t pay you your commissions, then your only source of income would disappear. Always make sure that you apply for multiple affiliate programs and promote different products because if one should fail, then at least, you can still depend on your other sources of income. This is such a helpful and well-laid-out article! I wish I had found it when I first started out in affiliate marketing, because it was hard to find clear information on affiliate programs. I have seen it mentioned a few times only recently that Amazon cookies only last for 24 hours. I have yet to sign up as an Amazon affiliate, so I’m not familiar with this. Does that mean you’d have to change your affiliate links every single day? Hi Leah. I am very happy that this article was helpful to you. Being an Amazon affiliate has many benefits but as I mentioned in the article, I would not recommend that you only rely on Amazon as a source of income. It is advisable that you apply and become an affiliate of different companies so as to protect your income. When it comes to the cookies, the 24 hour cookie does not mean that you have to change your affiliate link every 24 hours, it only means that you will get the commission when your visitor who clicks on your link, buys a product from Amazon within 24 hours of clicking on your link. If the purchase is done outside of the 24 hour window, then no commission is awarded. Next Post Is Shopify legit? – Can you make money with shopify?